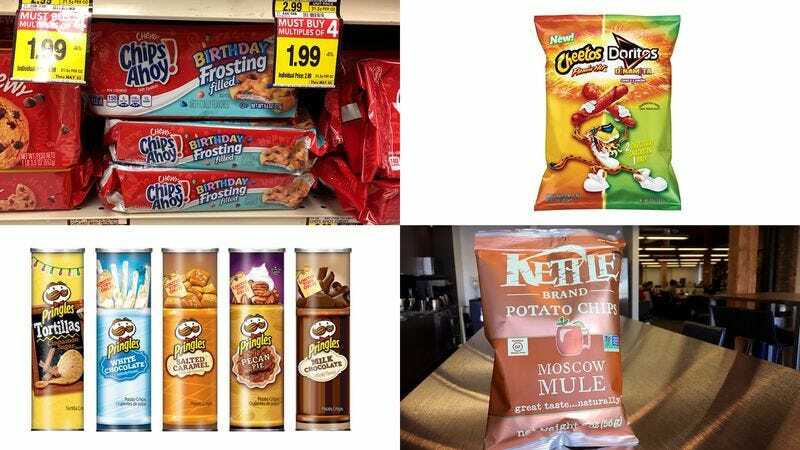 ST. PAUL, MN—Identifying a clear preference for novelty above all other qualities, a report from the University of Minnesota released Friday found that morbid curiosity now accounts for 79 percent of the nation’s snack food purchases. “Whether they’re trying to figure out if a jelly bean really tastes like popcorn or what the deal is with those puffy shrimp chips that apparently are really popular in Asia, we’ve concluded that consumers buy snacks three-quarters of the time purely from an intense desire to determine whether a product corresponds with its purported flavor,” said the report’s author, Carol Souza, adding that almost 20 percent of those purchases alone were prompted by a keen interest in how biscuits-and-gravy was reduced to a potato chip coating. “Many people didn’t even seem to care whether or not the wasabi chocolate or seven-layer-dip Combos were good, only that they tasted anything at all like what they expected. Once they actually tried the products, they generally had no incentive whatsoever to purchase them a second time.” Souza went on to say that an additional 10 percent of snack foods were purchased purely to ascertain whether they tasted the same as they did when you were a kid.